Shopify Meets Call Tracking: Has Omni-Channel Finally Arrived? As we enter the 2020s, e-commerce is set to generate more than $480 billion in the U.S., and nearly $2 trillion globally. And while Amazon takes a lot of credit for online everything, they’re hardly the only game in town. A significant chunk of online retail is generated by smaller players, thanks in part to platforms like Shopify that make it easy to sell in the digital space, as well as in person—and that have the potential to merge the online and offline experience into an omni-channel version of commerce. Let’s take a look at how we got here—and how e-commerce platforms and retailers should be operating in this new, seamless marketplace. In 2004, Tobias Lütke, a purveyor of fine snowboards, wanted to sell his wares online. Today, that would be simple; in the pre-Shopify world, e-commerce platforms were clunky and difficult to integrate with other services and platforms. Rather than continue to frustrate himself and limit his business, Lütke put in some long days of coding to create software that would better suit his needs. Long story short, Lütke and his partners shifted their entrepreneurial efforts from their snowboard origins to the software solution he’d designed and refined. It turned out to be a good decision—a few years later, investors jumped in to help them scale their solution. Now, Shopify powers more than half a million businesses across 175 countries and pulls in yearly revenues over $150 million. m-commerce – the mobile version of e-commerce has been expanding quickly, thanks to increasing screen sizes, responsive design, and the continued proliferation of mobile devices. M-commerce is projected to hit $335 billion by 2020, up from around $80 billion in 2015, and Business Insider predicts that m-commerce will make up nearly half of all e-commerce by 2020.
s-commerce – social commerce is a growing arm of online sales, with three-fourths of consumers using social networks to inform their purchases. S-commerce includes direct, peer-to-peer channels like Ebay or Etsy, ads and referrals through social channels like Facebook and Twitter, and targeted bulk promotions like those offered by LivingSocial and Groupon. Statista reports that worldwide s-commerce revenue is $20 billion, but beyond the hard, fast numbers, social plays a critical role in expanding customer engagement, building brand equity, and increasing traffic to retailers’ sites. Shopify’s success is due in large part to the fact that it embraces this wide variety of channels. In addition to an e-commerce platform, Shopify’s platform has integrated channels for Facebook, Twitter, Pinterest, Amazon, and a number of other social/retail platforms—as well as a software development kit to help additional third-parties develop their own integrations. To date, Facebook is dominating their s-commerce sales—accounting for two-thirds of Shopify’s m-commerce and 85 percent of all m-commerce. Shopify’s success—as well as the achievements of other e-commerce providers like BigCommerce and Magento—points to an obvious demand for online sales solutions. But it’s important to remember that e-, m-, and s-commerce aren’t the only sources of sales in the digital age, nor even the biggest. 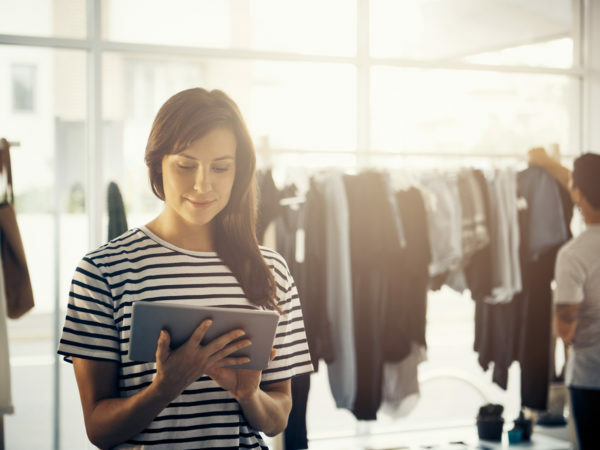 Brick-and-mortar businesses still account for an overwhelming majority of retail sales, with more than a million businesses racking up nearly $4 trillion per year in the U.S. alone, according to Retail Touchpoints. Shopify knows it’s dangerous to ignore the physical storefront behemoth—for this reason, they continue to support offline transactions, offering brick-and-mortar POS solutions and card readers for businesses of all sizes. Retailers should take a cue from Shopify and stop perceiving online and offline selling as a competition between marketplaces. Instead, they should recognize that digital and physical storefronts can, and should, complement each other in important ways. For instance, Retail Touchpoints reports that half of the customers who browse brick-and-mortar shops later buy online, and even more browse web retailers and then buy offline. More than a third of every dollar spent offline has been influenced by digital interactions—adding up to over $1 trillion in purchases annually. Increasingly, it’s beneficial for retailers to stop thinking of physical, digital, social, and mobile as separate marketplaces—but instead to look at all channels together, through a single lens. Being able to fully merge the online and offline shopping experience requires data integration—and data can be a blessing and a curse. A blessing, because of the analytic goldmine that can help retailers understand and reach consumers; a curse, because data is rarely complete—and an incomplete picture of consumer behavior can lead to poor decision-making around inventory, product design, service offers and, of course, marketing. This is why Shopify and other multi-channel players are aggressively seeking diverse integrations. The more channels they can track, the more potential access their retail customers have for data—and that helps them understand their customers. The result: consumers get more relevant offers, retailers get better conversion rates, and Shopify gets happy customers. It’s win-win-win. Shopify’s multi-channel commerce platform is arguably the most comprehensive offering in the market today. Even so, they have been missing a critical piece that prevents them from providing a complete data picture to their customers. And this missing piece is call intelligence. Some sales and marketing organizations track inbound calls as 10X more likely to convert that other channels. The proliferation of mobile devices has doubled inbound calls in the last three years to well over 60 billion calls per year—and is projected to hit nearly 200 billion in the next three years. Online ad providers like Google have found that up to 62 percent of customers prefer click-to-call options over ad clicks. And, keep in mind that some of the numbers around calls are likely underrepresented due to the fact that calls are less likely to be accurately tracked that more-often-integrated methods like click-throughs and forms submitted. For several years, Shopify and other multi-channel retailers have been talking about an “omni-channel experience”—an experience that provides a seamless buyer’s journey for consumers, merging offline and online shopping in a holistic way. And, in a lot of ways, they’ve come close. But, until calls are integrated accurately and consistently, customer journeys will remain incomplete—and conversions improperly attributed. Consider the customers who seem to drop off the data radar after numerous online engagements. Have they failed to convert? Or have they purchased the product you targeted them with—or another product—via phone? Failure to capture this data can lead to less relevant offers in the future and overall lower conversion rates. E-commerce is great at gathering online data, and platforms like Shopify with POS capability—as well as Google Analytics and assorted social integrations—bring together a big picture. Just not a complete one. Until now. 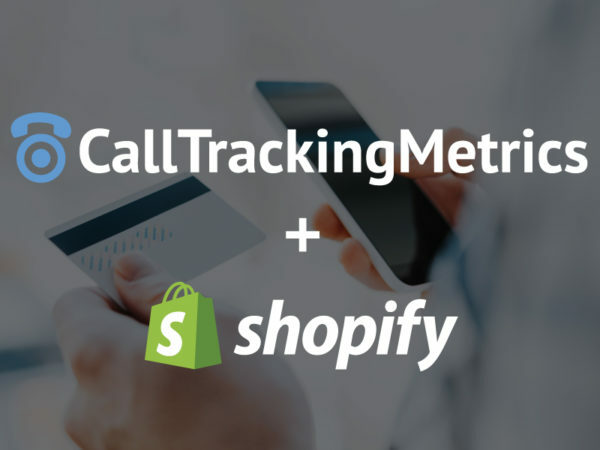 As stewards of a true omni-channel approach, CallTrackingMetrics has recently released the first Shopify integration that not only tracks—but also responds to—inbound customer calls. With an omni-channel-focused call intelligence platform, retailers now have access to complete order history and other crucial caller data instantly—and they can integrate that caller data into the rest of their marketing picture to fully understand their customers’ journey, online and off. Call intelligence platforms can also trigger automatic responses to customer inquiries by calling, emailing, or texting the customer—or a stakeholder within the retail business—informing them of order status and other relevant info. This keeps the buying process moving, improves consumer experience, and helps drive future conversions. Most importantly, it takes advantage of—and integrates—all possible retail channels: the true omni-channel experience has finally arrived. As e-commerce continues to absorb a larger and larger share of retail (and it is projected to do so steadily), it will become increasingly important for retailers and the platforms they use to adopt tools that deliver true omni-channel capabilities—including phone calls. To please customers and create conversions and loyalty, anything less than seamless just won’t cut it in the years to come. This article was originally published on MarTech. Should I supplement my call tracking account with Professional Services?